Fantastic Nuno Felt Hats with Dawn Edwards!!! 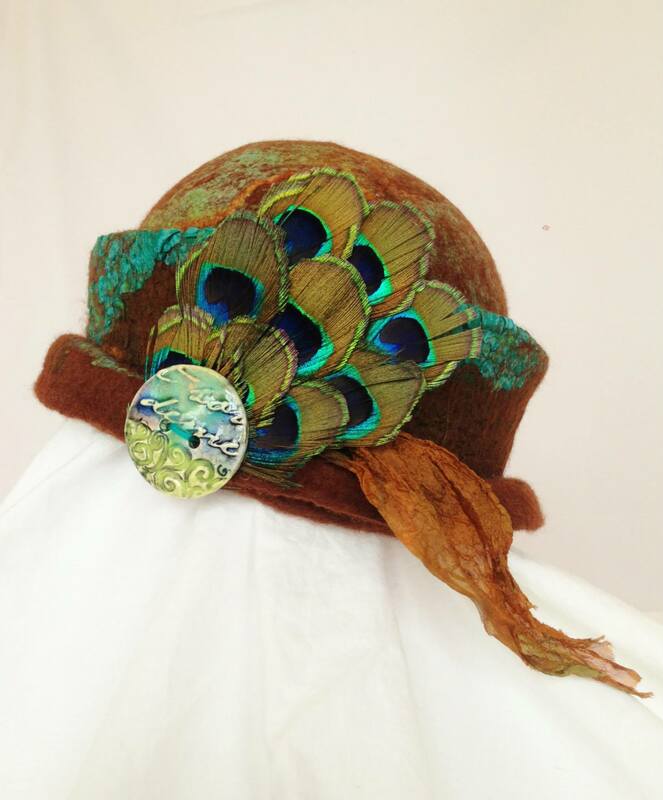 I’m thrilled to confirm the 5th April nuno felt hat workshop that Dawn will be teaching at Clasheen (or a nearby location in Borris) this April, click here for all the details!!! Eight places have already been provisionally booked, please shout out loud and email me asap if you’d like to be included in all the fun. As soon as the ten places are filled I’ll start a waiting list and if the numbers stack up we’ll run a second day on the Sunday. I actually forgot on the flyer to include the payment details, a 50% deposit will be required to hold a place and the balance is needed by the beginning of next month. OK, I’m off to unwrap some bundles now, bed early and teaching second and third class at Ballymurphy National School in the morning! This entry was posted in workshops and tagged Dawn Edwards, Felt, felt hat, felting class, felting workshop, nuno felt hat by Nicola. Bookmark the permalink. Are you teaching in Michigan this year? Or anywhere close to Chicago? I’m teaching in MI on 9th and 10th May Linda, if you check out the workshop page you can email Dawn for all the details and to book your place. Hope to see you there! Hi Linda, We’d love to have you here in Michigan….Just 3 hours from Chicago. My email is: dawn@feltsoright.com . Please let me know if you’d like information on Nicola’s workshop. I am so excited to be returning to Ireland, to teach and to see you 😉 Thank you so much for the invitation to come back….I can’t wait!!!! And I can’t wait for you to come back Dawn!!! Hi Maria, Shall I put you down for the last place on Saturday?